Dr. Gordon Pratt, a lepidopterist at the University of California Riverside, has been confirmed at the Botany Festival Speaker. Dr. Pratt, a resident of Anza, will discuss local butterflies and the local plants upon which these butterflies depend. 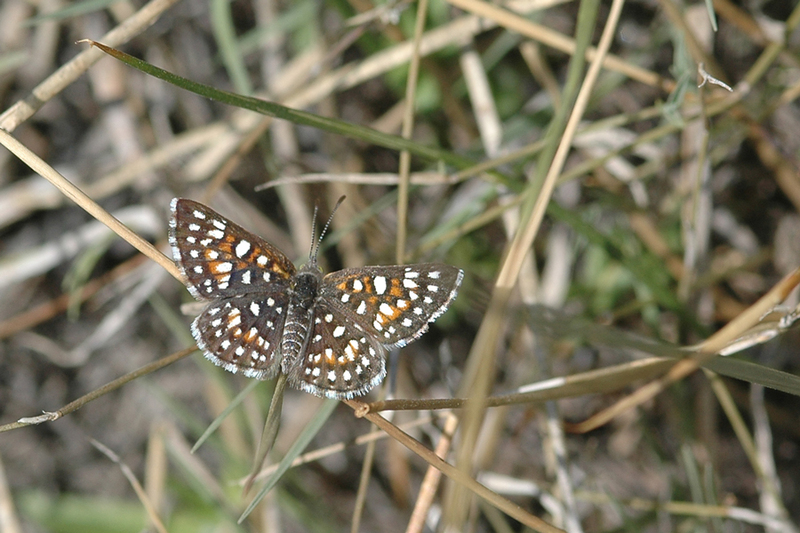 If you've seen seen metalmark butterflies in the Holcomb Valley area in the San Bernardino National Forest you may well have seen a subspecies of metalmark named after Dr. Pratt. Apodemia dialeuca pratti is Pratt's Metalmark pictured to the right. Dr. Pratt will be speaking Saturday, November 25, 2017, at 1:30 PM in the Visitor Center of the Anza Borrego Desert State Park. Admission is free.